Get your business on top positions at local web searches. Why you need Local Search Optimization ? Prospective customers are looking for your business online and most of it happen with local search. 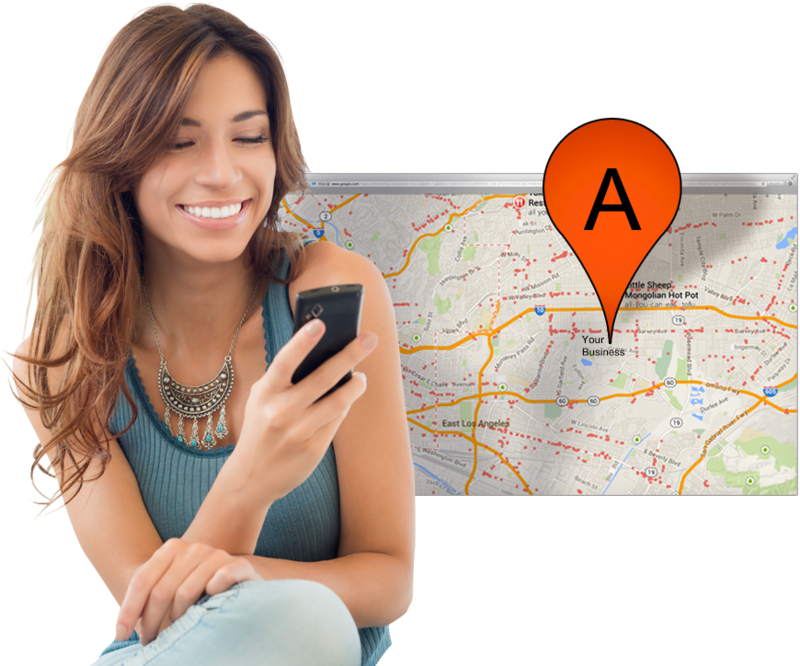 All the major search engines identifies your business location and matches user search terms with these location information. So most of the top positions will be effected by business location and website setup that optimizes this. We will help you to optimize your website, content and marketing resources so you can benefit from these local searches. We handle everything related to the setup and optimization of your company’s Google My Business account and profile. We’ll help you list your business on all important business directories and listing sites. We will set these up for Google+ Local, Yelp, Bing Places, Internet Yellow Pages, Yahoo! Local and many more. The emergence of numerous review sites has created an unprecedented, ongoing online conversation about local businesses. We will help you to get customer reviews that can have a dramatic impact on your business. We will help you generate valuable content that targets local audiences and optimize your local business visibility. We will optimize your social media usage to drive more local customers to your business. Connecting with people around your business location and getting real customer interest towards your business is the secret sauce of Local SEO Optimization. Nola SEO Specialist can help local businesses gain high exposure in search engine results. Whether you’re a bail bondsman, plumber, dentist, attorney, carpet cleaner, general store, etc. Nola SEO Specialist will help your business achieve an established online presence using our proven formula. Find the customers right in your backyard. Businesses of all sizes can benefit from a better online presence—especially when you’re reaching out to a targeted, local audience. At Nola SEO Specialist, we market your business to the people who matter most. Bring in more leads with Google, Yahoo and Bing accounts. Citations for local listings: Placements (citations) in over 50 prominent local directories. Ready to get your business on top of Local Searches ?